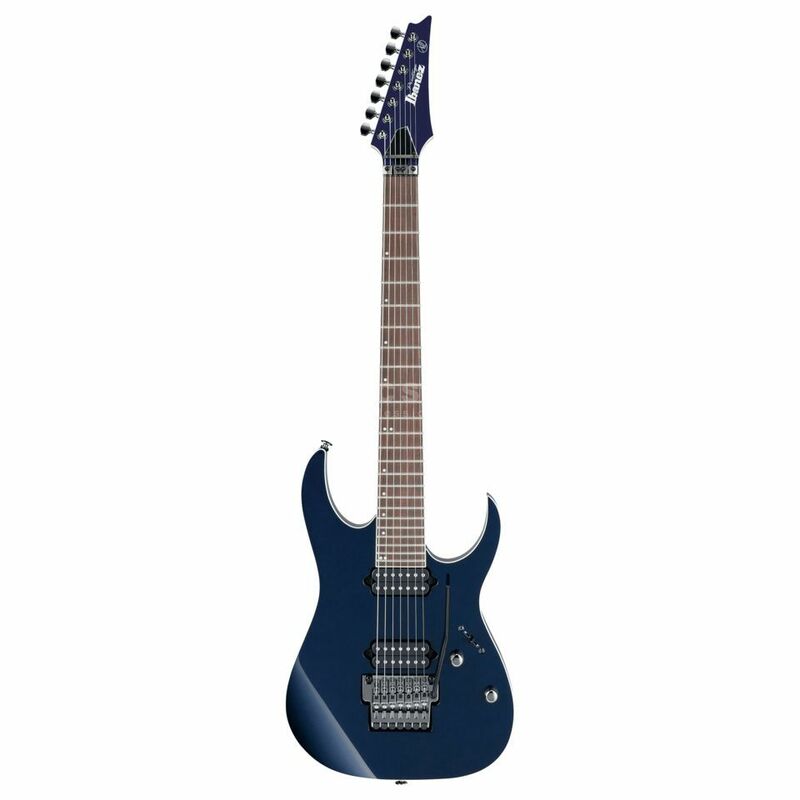 The Ibanez Prestige RG2027XL-DTB (Dark Tide Blue) is a 7-string electric guitar with an extended 27" scale. Ibanez relies on a Basswood body in the sleek RG design, while the screwed, 5-piece neck is in the fast "Wizard-7" profile and uses Maple/Wenge. 2x DiMarzio Fusion Edge humbuckers in combination with the long scale provide an extremely tight sound, which reproduces every note with precise response even at maximum gain settings. Last but not least, the Ibanez Prestige RG2027XL is equipped with the Ibanez Lo-Pro Edge 7 tremolo and Gotoh tuners.